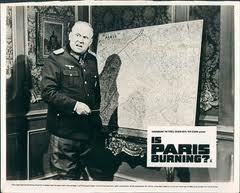 General Hienrich von Choltitz: Did he really save Paris from destruction in 1944? 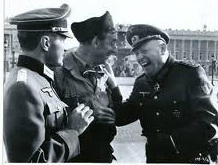 In both the best-selling book and the movie, the main hero of the successful attempts to prevent the destruction of Paris as ordered by Hitler is General Hienrich von Choltitz. 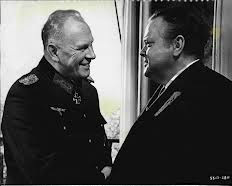 In August, 1944 he was the Military Governor of Paris and head of the German garrison he eventually surrendered the city, virtually undanaged. But there is some doubt as to whether von Choltitz really deserves such praise. 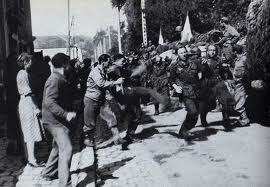 Photo claiming to show attacks on German forces during the insurrection. One of the most convincing aspects of Clément's movie is his depiction of such small-scale action. Parisians manhandling German troops from Paris garrison. The soldiers had apparently followed von Choltitz' order to surrender. 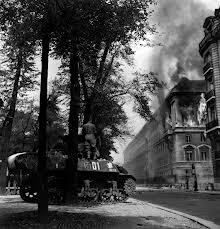 As this image reveals, the fighting in Paris did cause damage to property, but not on the scale that Hitler envisaged. von Choltitz: saviour of Paris? Or shrewd opportunist? The general was a career officer in the German military. Having served as an infantry lieutenant during the first world war, von Choltitz remained in the post-war army. By 1938 he had risen to be a lieutenant-colonel, and in 1940 won promotion and a knight's cross for his role in the capture and occupation of Rotterdam. He was soon involved with another famous city: the siege of Leningrad. At the beginning of August 1944, after serving on the western front, he was appointed to his Paris command. Hitler ordered van Choltitz to prepare the city for demolition. Famous landmarks such as the Eiffel Tower, cultural institutions such as the Louvre, bridges and other key public communications and utilities were to be destroyed before Allied forces entered the city. On 23 August Hitler declared that "the city must not fall into the enemy's hands except lying in complete debris". 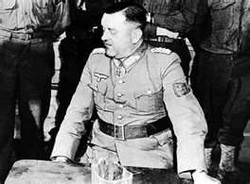 Under von Choltitz's orders, German engineers and troops placed explosives in order to ensure Hitler's command was carried out. The 2014 movie Diplomacy [Diplomatie] directed by Volker Schlondorff, based on a successful play, portrays a fictional duel of wits between Choltitz, reluctant to abandon his military traditions of 'honour' and 'loyalty' and the Swedish Consul in Paris, Raoul Nordling, who appeals to the general's sense of humanity and the advantages of being the man who saved Paris from destruction. • He successfully concealed from Hitler and the German high command evidence that an uprising was taking place in Paris - an uprising that would have meant immediate German retaliation. • perhaps the best explanation is simply that von Choltitz, a clever, shrewd man and a highly capable military figure, realised that Germany had lost the war and that retribution would eventually follow for some of the regime's leading generals.. Surrendering Paris relatively unscathed would ensure that his reputation and character would be enhanced. He would also avoid participation in an unwilling defensive struggle run by a mad tyrant. • Paris was not the only French city which survived despite being marked for destruction. 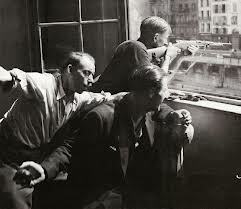 The key ports of Toulon and Marseilles were also supposed to be defended to the last man by their German occupiers. • By mid-July 1944 some well-placed German officers were either stalling, misleading or outright disobeying Hitler and the High Command from a variety of motives ranging from self-interest (hoping for lenient post-war treatment from the Allies), a rather late onset of guilt, aristocratic disdain for Hitler, and Christian remorse.• The officercorps around Choltitz made no attempt to persuade or force their general to carry out Hitler's command - most of them supported Stauffenberg's rece nt attempted July coup against Hitler. Shells were almost never used, there was no use of gasoline to set the city afire (fire destroys cities more effectively than bombs or shells), and Choltitz frustrated the Luftwaffe’s bombing plans. Before Choltitz arrived in Paris, preparations for the sabotage of gas installations, power plants and telephone exchanges had begun. Choltitz made no effort to continue them. After the war, the bureau responsible for administering bridges and roads concluded that Choltitz had done nothing to mine the roads, despite the arrival in the city of a battalion of engineers with three hundred naval torpedoes. And although he expressed great anger at the insurgency in the city, he was controlled and measured in his response…. played a triple game: he deployed just enough force to keep the FFI [ Free French forces] at bay while offering olive branches and truces to buy time; he assured Berlin directly and indirectly that he was still Hitler’s man; and he entered into covert agreements with the Allies to hand over the city.